The Evergreen State College is a public liberal arts college located in Olympia, Washington, between Seattle and Portland, in the heart of the Pacific Northwest. Evergreen attracts students inspired by the complexity of the world. Our model of learning prepares students for the way the world happens now, layering academic disciplines so students can focus on how they want to uniquely impact our ever-changing world. On a forested campus on the shores of Puget Sound, Evergreen offers two undergraduate and three master’s degrees: Bachelor of Arts, Bachelor of Science, Master of Environmental Studies, Master of Public Administration, and Master in Teaching. Evergreen is the most innovative college in the West, according to US News and World Report. The ranking is based on innovative improvements to our curriculum, faculty, students, campus life, technology, and facilities. See more praise for Evergreen. Greeners experience the fastest time to degree among Washington’s public, four-year institutions. Direct from high school students graduate in an average of 3.9 years, and transfer students graduate in an average of 2.4 years. That means less in total costs for you and more time in the field. Evergreen has the second-lowest tuition and fees of any Washington four-year institution. 90% of our graduates are working or in grad schools one year after graduation. 67% of Greeners receive financial aid. Nearly half of graduates in the Class of 2013 finished without any debt. Those who did borrow while attending Evergreen borrowed below state and national averages. Evergreen’s undergraduate student-to-faculty ratio is 21:1. Evergreen's graduate programs student-to-faculty ratio is 11:1. Our 229 faculty members are distinguished both in scholarship and by their dedication to teaching. 78% hold the highest degree in their field. 29% of Greeners are students of color. 23% of Evergreen faculty are people of color, reflecting our commitment to diversity. First-year, freshman students can get access to top tier equipment like nuclear magnetic resonance spectroscopes, 3D printers, and studio cameras. Get your hands on the fun toys at Evergreen. Other colleges require upper level experience or research clearance. Explore what programs you can take. More than 1,000 acres of forest surround the campus, with winding trails leading to 3,300 feet of unspoiled beach on the Puget Sound. Forbes called it one of America’s most beautiful college campuses. Evergreen is the third best Master’s university in the entire country, according to Washington Monthly. The ranking is based on our contribution to the public good in three broad categories: social mobility, research, and service. Learn about our Master’s degrees. 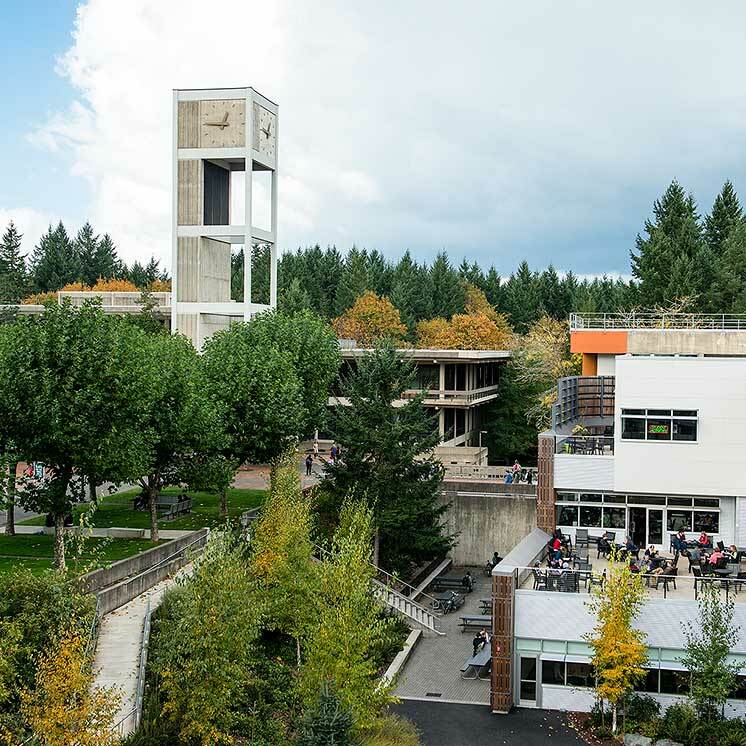 The Evergreen State College has been accredited continuously by the Northwest Commission on Colleges and Universities (NWCCU) since receiving initial accreditation in 1974. The Commission most recently reaffirmed Evergreen’s accreditation in 2014. We’ve been a leader in environmental education from the beginning. In recent years, we’ve stepped up our commitment to sustainability to reach beyond the classroom and even the campus. We value a student-centered learning environment, a link between theory and practice, and a multicultural community of diverse faculty, students and staff working together. Current enrollment is approximately 4,000. If you’d like to know more about Evergreen, come see us in person. Schedule a visit to learn what we’re all about.